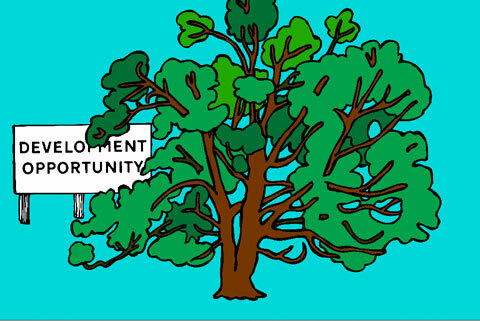 My project, The Comfort Maple Wishes To Be Alone, is a short animated film exploring the history of the region through the viewpoint of a cranky tree. The actual Comfort Maple is over 500 years old, so I figured it would have witnessed a lot of change. 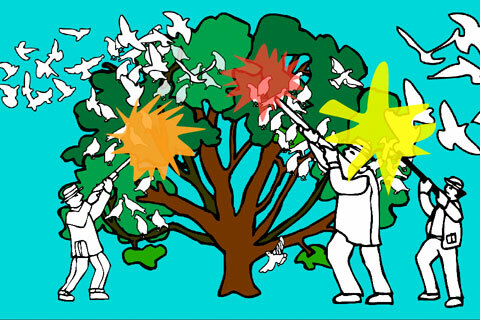 As the voice-over demonstrates, the deluded tree believes that it is the agency of these changes. 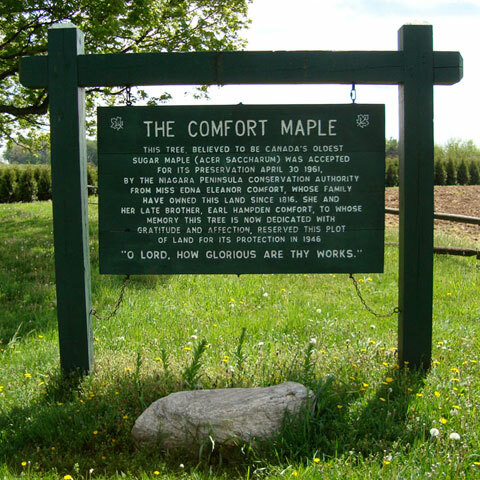 The Comfort Maple is located on Metler Road, between Cream & Balfour Streets, in Pelham. When a smart phone or tablet is pointed at the actual Comfort Maple, the screen turns into a drawing of the view, with the tree as a seedling. 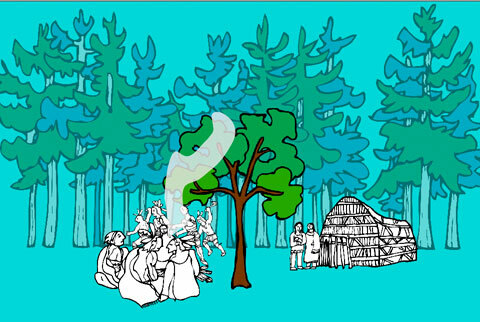 The film passes through four significant historical events: the destruction of the Neutral people by the Iroquois, the logging of the White Pine forests, the extermination of the Passenger Pigeon, and the recent closure of the soft fruit cannery and subsequent poisoning of the fruit trees. 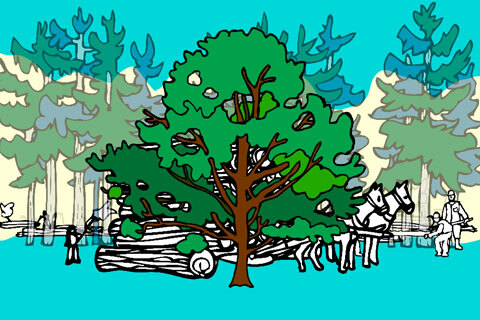 This entry was posted in General information, Projects and tagged animation, First Nations, Flash, history, logging, NAC, Niagara Artists Centre, Niagara Here, passenger pigeon, real estate, Rob Elliott, The Comfort Maple Wishes To Be Alone, tree, White Pine. Bookmark the permalink.